Maple Volkswagen is located in Vaughan and serves as your Ontario Volkswagen Dealer. Maple Volkswagen is focused on ensuring all customers receive the premium Volkswagen experience. If you are shopping for a New Volkswagen, in our showroom you will find all of the Maple Volkswagen staff are courteous and professional. At Maple Volkswagen we carry the full Volkswagen line up. 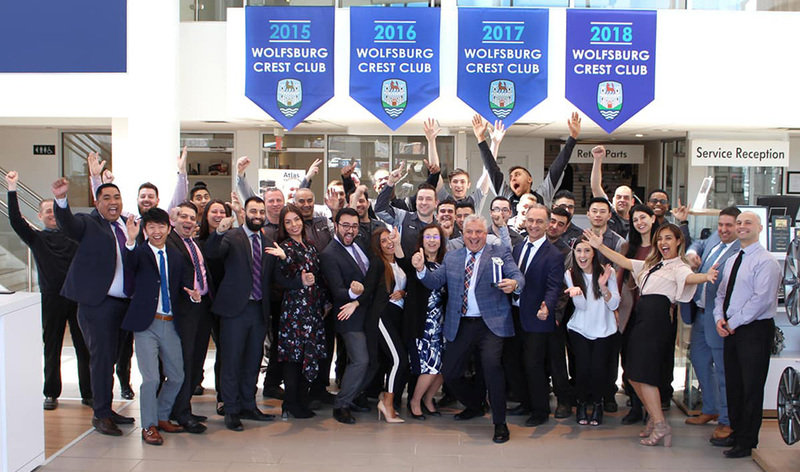 Our 4-time 2015, 2016, 2017 & 2018 Wolfsburg Award Winning Team would be happy to find exactly what you’re looking for! If you do not find the New Volkswagen of your choice then please contact Maple Volkswagen. We know we can find a level of performance, quality, and comfort that Volkswagen drivers have come to expect. We are committed to being friendly and approachable. To being open and transparent. To being consultative and providing honest recommendations. And to always listen with empathy and ask questions. We will provide a thorough explanation to avoid any surprises. We will be respectful of your time. We will ensure everything is done right. And we will contact you to confirm you are satisfied. Owning a Volkswagen is something to smile about so let us make you smile A LOT!